Alejandra Hernandez (center) kicks off workshop with information about risks associated with lead in soil. Hernandez demonstrates how collect a soil sample. Walnut Way Conservation Corps is a project partner. Staffer Nate Gilliam (right) walks attendees through the how tos of composting at home. Master gardener coordinator Sharon Morrissey introduces kids to the garden. Jeremy Davis (back right) introduces the group to late season crops. In this era of urban agriculture, Milwaukee is making a name for itself as a leader. At the same time, a group tuned into the dangers of lead in the soil wants to use the urban farming wave to inform families. In Milwaukee, an estimated 10 percent of kids under age six have unhealthy levels of lead in their blood - levels that could cause permanent brain and nervous system disabilities. 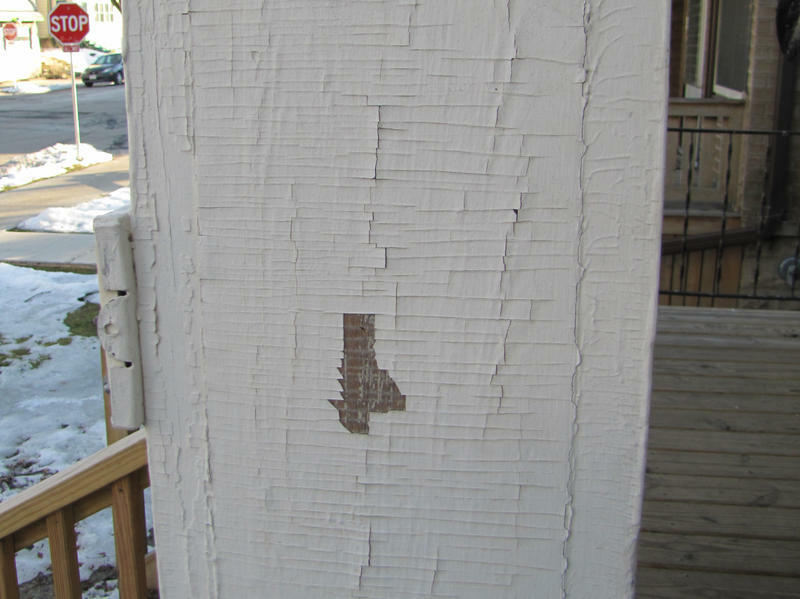 A major culprit has been the lead-based paint used on houses decades ago. Those paint chips can also make their way into family gardens. The local project Growing Healthy Soil for Healthy Communities aims to reduce the risks. Midway into a five year grant, 275 people have participated in its environmental health literacy workshops. A dozen people recently gathered under a wooden canopy in a lush neighborhood garden on Scott Street on the city's south side for a two hour session. The group gathered at the Journey House Community Garden. Alejandra Hernandez is about to get the program rolling. “A lot of the people that are here we met during door to door outreach with the lead outreach program,” she says. Hernandez works with Sixteenth Street Community Health Centers. 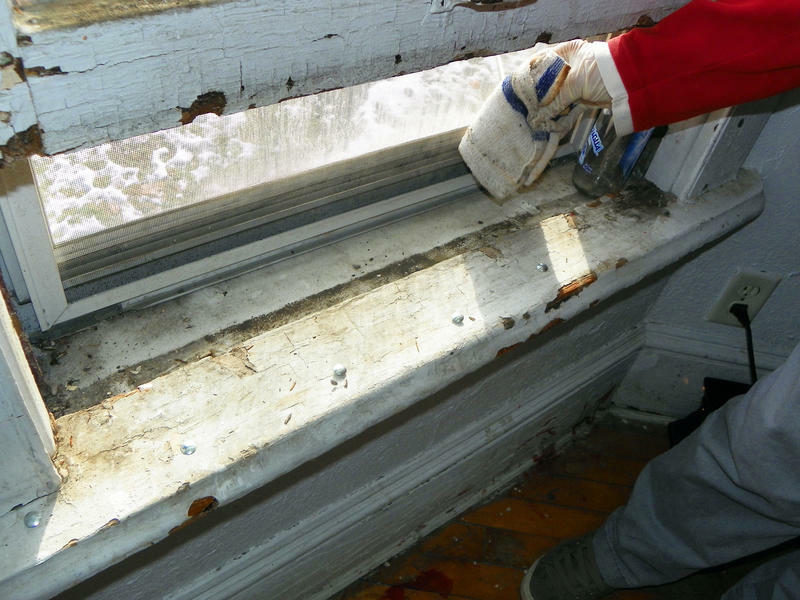 It has a long history of helping families tackle the hazards of crumbling lead-based paint because of the devastating developmental impacts it can have on children. The Center is tracking more than 1,200 at-risk families on the south side. Now it’s encouraging them to learn more about their soil – another possible contamination site. As the evening workshop begins, Hernandez introduces the adults to dangers of lead. The idea is to inform – not terrify. Attendees have plenty of questions. A dad wants to know the best time to test his young children for high lead levels. Hernandez takes time to answer each question thoughtfully, before she leads half of the group to a garden plot, where she demonstrates how to gather soil samples at home. “When you’re doing your soil collection try not to get any of the green material or any mulch,” she says. Families who decide to can return them to Hernandez. It’s the step she hopes they take. It was elevated lead samples in several Milwaukee neighborhoods and conversations among partners starting in 2010 that fueled the creation of this program, Growing Healthy Soil for Healthy Communities. Sharon Morrissey heads the UW-Extension’s master gardener program for Milwaukee County and says there is plenty to convey about lead in our outdoor environments. “People have some misconceptions and don’t think of it being in most of the soil in Milwaukee and that it gets on your shoes, and it gets on your hands and it gets on your clothes. And then you track it in and your kids get it on their hands, and the babies get it in their mouths, so it’s really important to important to learn ways to keep that from happening.” Morrissey says. As the evening draws to a close, the attendees leave for home with soil sample kits, gardening gloves and other goodies. I later learn that of the 12 attendees, only two submitted soil samples. Workshops don’t always result in high yields. So far, 33 families – some on the north, most on the south side – have jumped aboard completely. Conversation with partners who created Healthy Soils for Health Communities aired on Lake Effect. While the country remains riveted to Flint, Michigan because of its contaminated drinking water, other cities, including Milwaukee, have huge lead problems of their own. An estimated 10 percent of kids under age six in Milwaukee have unhealthy levels of lead in their blood. The culprit: lead-based paint. It’s long been banned, but thousands of older houses, especially in low-income areas, still contain it. Lead in drinking water, which has ignited a public health crisis in Flint, Michigan, is largely ignored as a potential contributor to elevated blood lead levels in thousands of Wisconsin children, records and interviews show. Nearly 4,000 children in Wisconsin were diagnosed with elevated levels of lead in their blood in 2014, though the number has fallen over the years thanks in part to bans on lead in paint and gasoline. Unlike in Flint, however, it is not known to what extent lead in the drinking water contributes to elevated blood lead levels in Wisconsin.